In a clear and systematic style, Clinical Examination in Cardiology explains the basic methods followed in ocular examination. 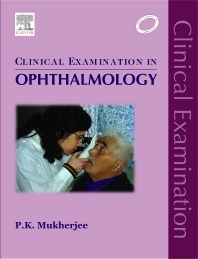 The book is specially designed for UG medical students as well as those pursuing more advanced PG courses on ophthalmology. Clinicians would also find it an extremely useful reference source. In-depth discussion of signs, symptoms and history taking. Each chapter devoted to a specific system of the eye. Highlights the applied anatomical and physiological principles underlining each procedure. Text profusely illustrated through colour diagrams, flowcharts and clinical photographs. Includes numerous practical tips and points useful in day-to-day clinical practice.